As part of the Engadine/St Moritz ski area, Switzerland's largest interconnected winter sports region, St Moritz provides access to more than 200 miles of pistes spread across nine mountains. 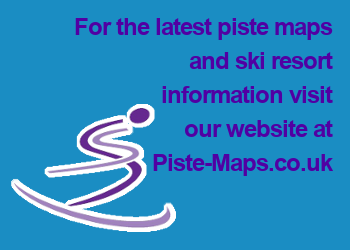 This means that the terrain is varied and offers something for skiers of every level. Corviglia is the only mountain accessible directly from town and comprises predominantly gentle, cruising slopes. Free and regular ski buses make travel to the other key mountains – Corvatsch (varied intermediate and advanced terrain, 10 minutes from town) and Diavolezza (fairly steep, challenging terrain, 30 minutes from St Moritz) – pretty painless. That said, having a car makes it even easier to explore – and parking is free. Suitable for confident intermediates and advanced skiers, this free guided tour is a great introduction to the ski area, covering 62 miles of pistes on Corvatsch and Diavolezza. Reserve a place at the tourist office (www.stmoritz.ch; 00 41 81 837 33 33). Corviglia is the closest mountain to St Moritz and therefore the busiest. However, the Las Trais Fluors chair-lift remains relatively quiet and gives access to varied terrain with blue, red and black pistes descending into Marguns. There's carving for intermediates, gentle, off-piste on the face the left of the chair, and moguls to the right of it. While St Moritz makes an ideal resort for intermediate skiers, novices will find it a challenging place to learn, with relatively few genuinely easy slopes from which to progress to from the nursery slopes. However, the area of Salastrains on Corviglia is a pleasant area to find your ski feet, with good nursery slopes opening up to a long blue into St Moritz Bad. The long, relatively gentle Hahnensee black into St Moritz Bad is a great way to end the day, particularly when you stop for a drink on the sun terrace of the Hahnensee restaurant. The piste is black because of the icy conditions at the bottom of the run, so most intermediates will be able to complete it. This is the mountain where intermediates can enjoy a high alpine experience and advanced skiers can access barely touched, world-class off-piste. The six-mile Morteratsch itinerary is a highlight, taking skiers across the Pers glacier and down the Morteratsch glacier.